It's been way over a month since I last blogged, mainly because not much happens here each day but I'm trying to get back into blogging as my time in Hakuba will soon be over then I'll have way more to say. I ventured out of Hakuba with Andrew and went to Matsumoto for the day. It wasn't a very Japanese day as I had McDondles and Starbucks but it was so good to get out of Hakuba. 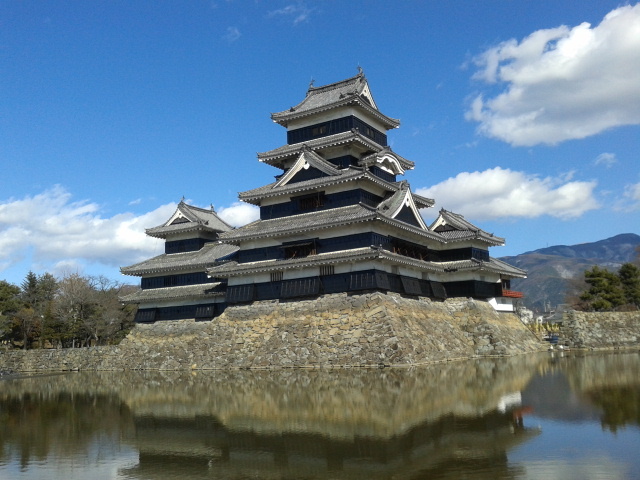 I went round nearly every clothes shop, bought some clothes and went to Matsumoto castle. 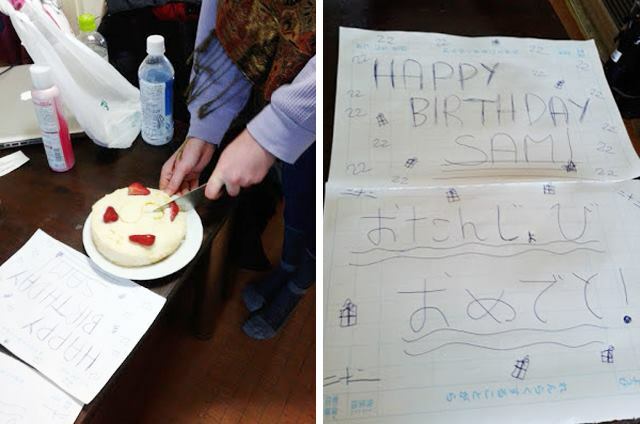 It was Sam's birthday and I attempted to make her a cake in a microwave which actually turned out ok. I have also discovered that ASOS do free worldwide delivery So glad to have new clothes! Here a few of my purchases, along with a rug like cardigan which I am in love with. 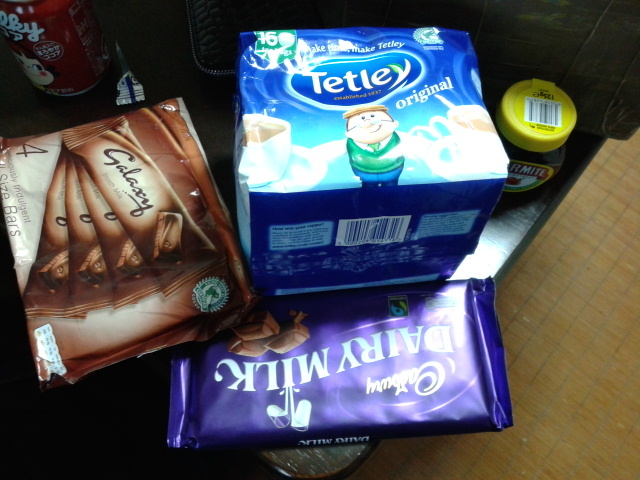 My parents sent over a box of goodies for me including some of my clothes from home, Cadburys choc, Galaxy choc, Marmite and Tetleys tea! So happy! A few of the Americans came back for a weekend, which was great as it was so nice to see them again. 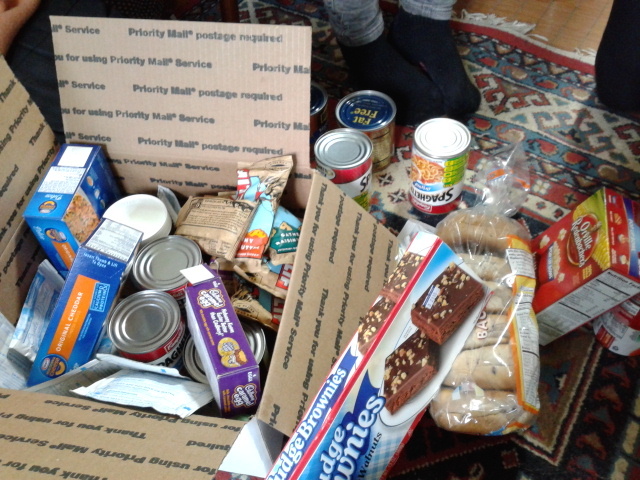 Thennnnnnn we made a huge list of food I missed from home including baked beans and spaghetti hoops so they sent a huge care package to us! So basically in the past month I've waited for parcels and packages from various sources from around the world whilst working and skiing. Also been to the gym a hell of a lot but that place is so cold that I avoid it as much as possible. Me and Liz went for a run today so going to try that again. There is about three weeks left in Hakuba and people are dropping like flies! It's really sunny out and the snow is gradually melting. I went back on skies for a week but think I might go back to boarding tomorrow. At the moment I'm planning my next chapter of my life which is travelling Japan for a month. I've still not heard if I'm going to be going to Okinawa in May so waiting on that before I make any big decisions of where to go next, although I'm now thinking California rather than Australia.....watch this space.